"Sometimes the most urgent and important thing you can do, is to take a complete rest"
The Italian breakfast is included in the room fee, and it’s served in a specific room on first floor or outside during the summer. 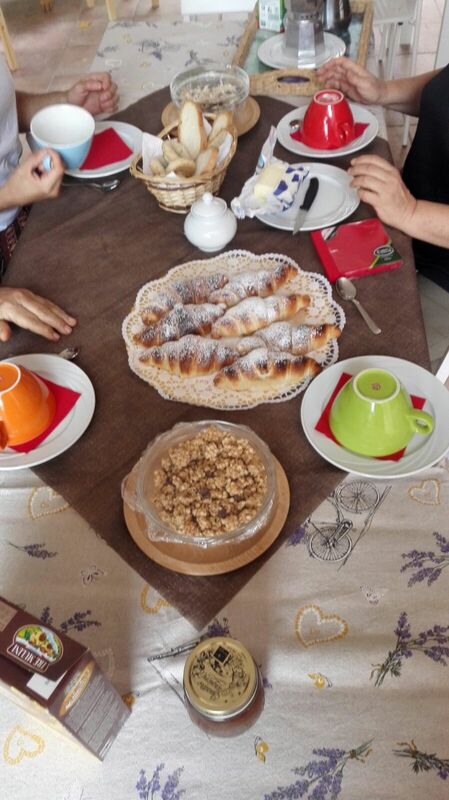 The buffet breakfast includes coffee or tea, milk, homemade desserts. It is also possible to request the “Colazione del Viandante”, with local affettati (cold cuts) and cheese, for a price of € 6,00 / person. Casa Deimar arranges wine-tastings at local Winehouse, and offers free guide to local cheese, cold cuts, and biological products producers. For guests who stay more than three nights, there is a free wine-tasting with local wines arranged at our facility. Inside the property and next to the rooms there is the “La Giandrina” restaurant. Agritourism guests can take advantage of a special treatment in services and prices. 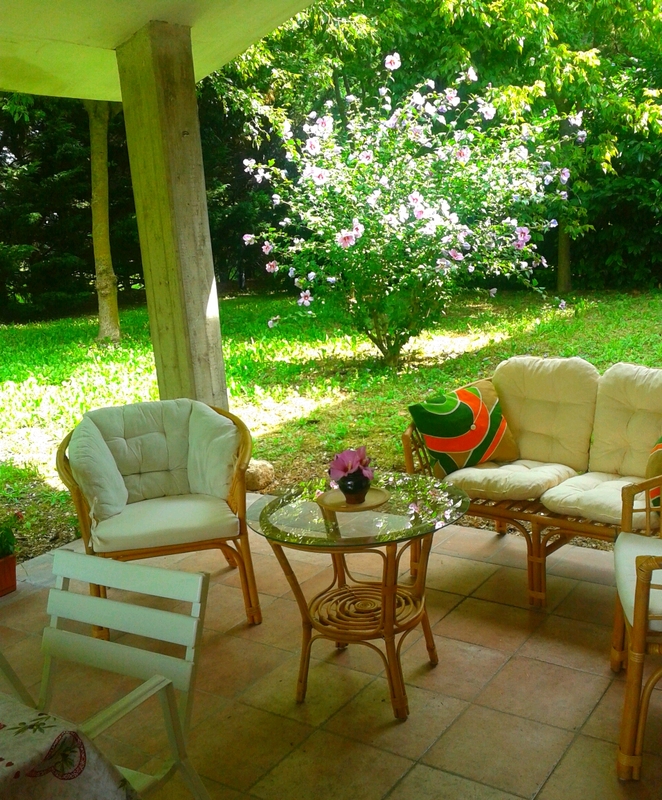 Garden is equipped with a relax area and beach chairs, to enjoy the sun during the spring, and to cool down under threes’ shadow during the summer. 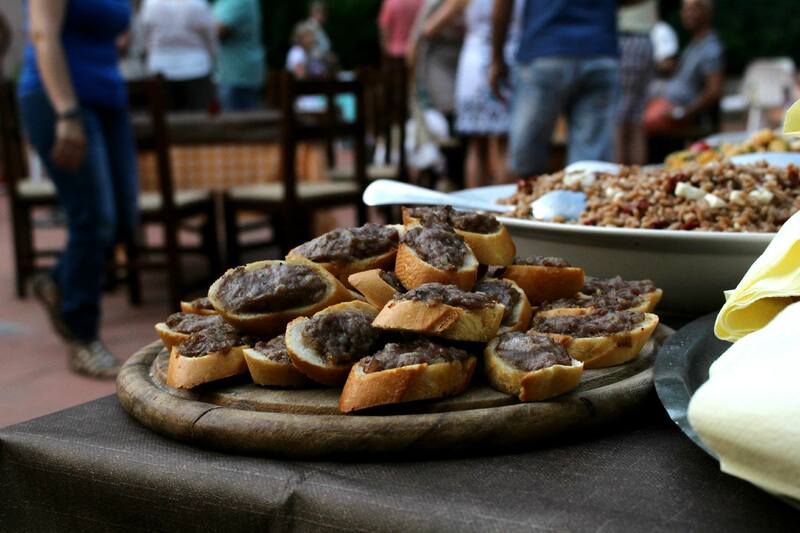 During spring and summer it is also possible to eat in the farmyard and to have joyful barbecues in the loggia.